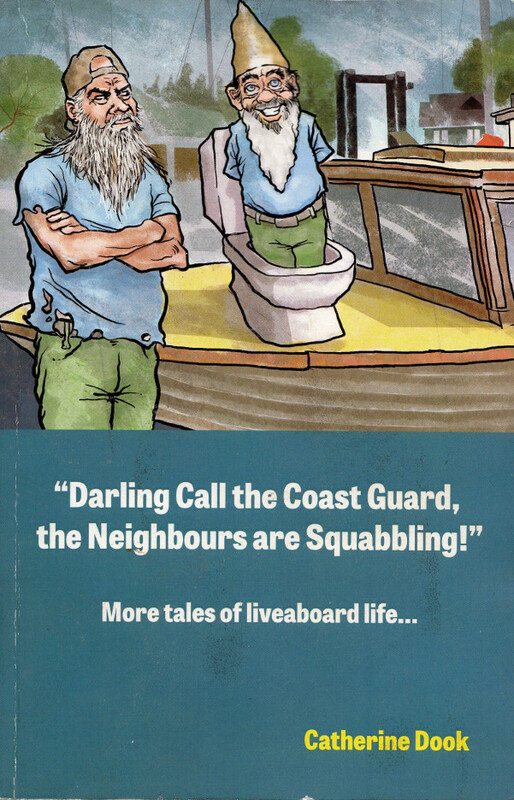 “Darling Call the Coast Guard the Neighbours are Squabbling”, published by Mottle Cove Publishing, is a series of short stories about liveaboard life. Mottle Cove – a liveaboard community where the weapons of choice are Reggae CDs and police tape, where the Dooks’ son Rupert writes an in memorium notice for a plastic SpongeBob, and where Leroy’s natural resemblance to a garden gnome is irresistible to his neighbours. Signed copies are available for $23.95 (CAN). Price includes shipping in Canada. Don't use Paypal? Live outside Canada or US? No problem - Contact Me. Went to the Vancouver Boat Show and Lived!